The writer of Genesis tells a story about Joseph, the youngest son of Jacob, an intelligent, hardworking, and faith filled lad who could interpret other people’s dreams, and had passion for administrative excellence. 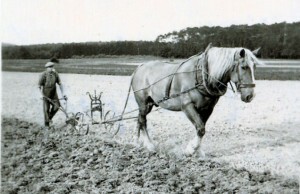 Joseph was a plow horse. Joseph had eleven older brothers, so it would have been easy to blend into the crowd at dinner time and not get noticed much; he could have managed his life in relative obscurity, but he chose a different path. Joseph studied hard and learned much. He was very intelligent for his time and became the favorite son of Jacob, his father. Unfortunately, Jacob was very obvious about his preference, and love for Joseph. Out of jealousy, his brothers decide to kill Joseph; but then they change their collective mind and instead sold Joseph in to Egypt as a slave. (If I were Joseph, I would have asked for a plan C) It turns out Joseph was a very good slave, intelligent and resourceful, so the master of the house made him the highest ranking slave and put him in charge of the house, land, goats: everything. Life was good with Joseph in charge, everybody was happy; except for the master’s wife. She was hoping for a romp in the hay with Joseph, but being an honorable man he said no. So, she told her husband a lie, saying that Joseph tried to seduce her, and then Joseph was sent to prison. Turns out Joseph was a very good prisoner, intelligent and resourceful, so the warden made Joseph the highest ranking prisoner and put him in charge of everything. Under Joseph’s administrative skill the prison ran smoothly; everyone was happy (or at least as happy as one could be in an Egyptian prison). Two years later, the Pharaoh has a bad dream and Joseph was called to interpret its meaning. Joseph, of course, does a great job interpreting the dream and so he stays at the palace as an aide to the Pharaoh. Turns out Joseph was a very good aide, intelligent and resourceful, so Pharaoh made Joseph the highest ranking aide and put him in charge of everything. Joseph is now the number two man in Egypt, the same country where many years earlier where he started as a slave. Joseph had many hardships and near death experiences in his life, but he never gave up, never lost faith; he always kept moving forward. His brothers sold him into a certain death as a slave, his employer’s wife tried to sleep with him, yet the Bible reports he never gave in to self-pity or abandoned his basic belief. I want Joseph to work with me, or for me. He is the go-to person in the office, the one everyone wants on the team. Joseph won’t call in sick unless he really is; he will be on time and will enthusiastically accept all the assignments given to him. The good ones with high exposure and promotion possibilities, and the jobs down in the basement, that no one who matters cares about. The story of Joseph is great even if we exclude his tremendous faith. He was a guy, who in the best and worst of times, remained committed to honor, integrity and a set of core values that are as important today as they were four thousand years ago. Add his faith to the equation, and Joseph stands out as a man whose faith in God allowed him to exceed all worldly expectations, no matter what the day held for him. Joseph worked hard, used his skills, remained flexible and lived his faith. He got out of bed every day and did what needed to be done. 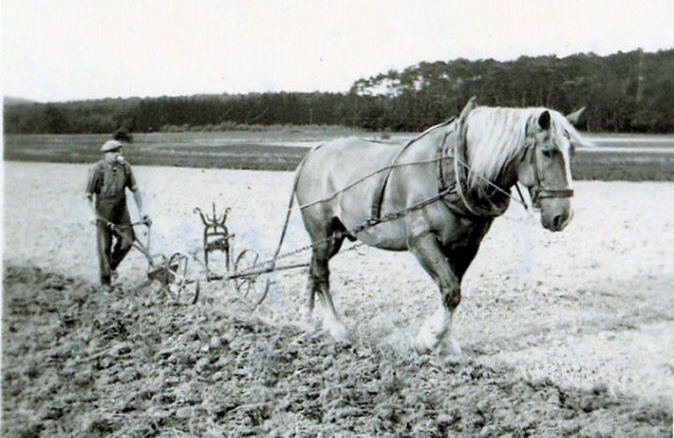 He was the best plow horse in the stable. This entry was posted in Influence of Prayer, Living a Christian Life, Love and Compassion and tagged forgivness, God, peace, Prayer, trust by Michael Obermire. Bookmark the permalink. Quite! This was a very fantastic submit. Thanks to your offered data.